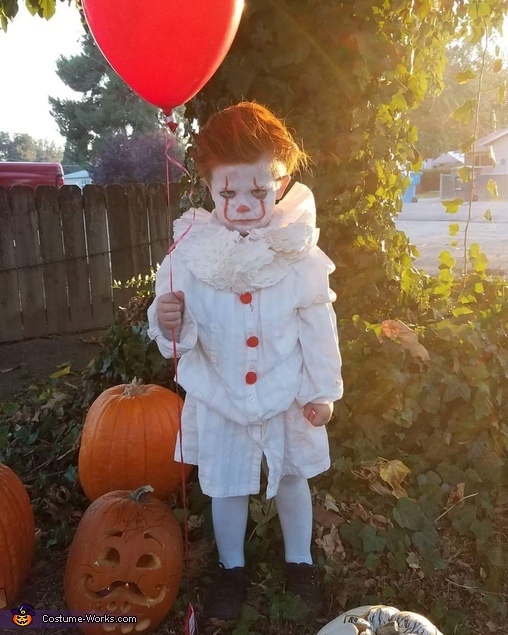 This is my 3 year old grandson who loves scary costumes. He is Pennywise the Clown Ver. 2017. His costume was made out of an old shirt, coffee filters for collar, spray for hair, makeup and tights. Add the red balloon and your complete.